Stretching from the southeastern U.S. down to the north coast of South America, the Caribbean consists of more than 700 islands, islets, reefs, and cays. Yet the vast majority of travelers seem to visit the same old hoary chestnuts (see: the Cayman Islands, Grand Bahama, and the U.S. Virgin Islands) year after year. 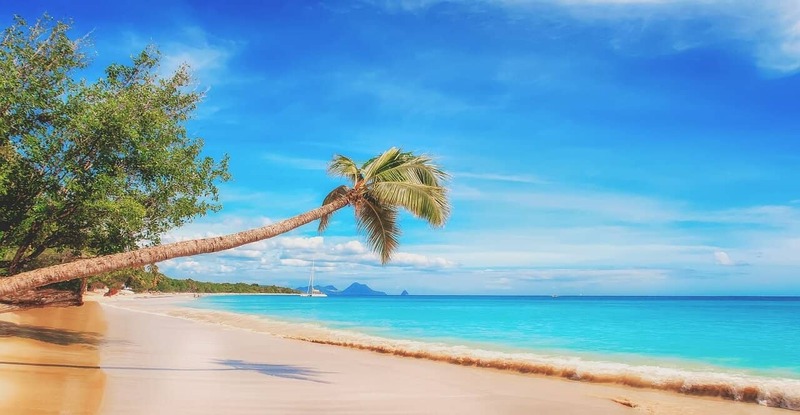 Fortunately, most of our favorite islands have yet to succumb to the wave of mass tourism that’s currently sweeping Europe and some of the more popular beaches in Southeast Asia. 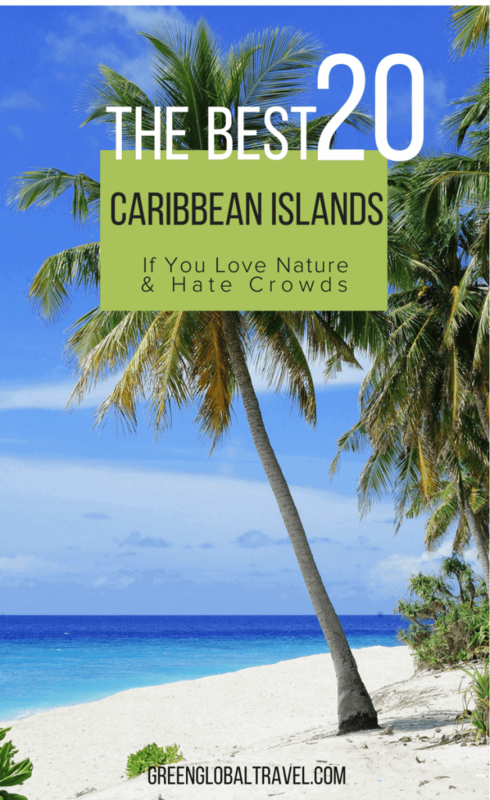 The “A” in the ABC islands of the Netherlands Antilles (which also include Bonaire and Curaçao), Aruba is not what most people expect from a Caribbean hotspot. Sure, there’s perfect weather, friendly people, beautiful beaches that have been named among the most beautiful in the world, and postcard-worthy ocean views nearly everywhere you turn. But the tiny island (19.6 miles long and 6 miles wide) also features windswept trees and rugged shorelines on the northeast coast, and dramatic rock formations and desert-like landscape in the interior. Animal lovers will enjoy the Bubali Bird Sanctuary (which provides breeding grounds for more than 80 species of migratory birds), the Aruba Ostrich Farm (offering close encounters with the world’s largest bird species), and Aruba’s Butterfly Farm (which has educational exhibits on the miracle of metamorphosis and offers excellent photo opportunities). For outdoor adventures, the hiking trails at Arikok National Park feature lava formations and ancient Arawak art. Climbing the Casibari Rock Formation provides breathtaking views of Aruba’s landscape. And caves along the coast feature stalagmites and stalactites, as well as a colony of bats (in Guadirikiri Cave) and Arawak Indian drawings (in the Fontein Cave). Located 100 miles east of its nearest Caribbean neighbor, Barbados offers big waves, a rugged northern coastline, and a mountainous interior that make it a haven for nature lovers. Measuring just 17 miles long and 14 miles wide, it’s is a tiny island with a huge heart. Start by exploring Historic Bridgetown, a UNESCO World Heritage Site. It’s home to the Barbados Museum & Historical Society, whose collection includes artifacts from the island’s Amerindian and colonial history. You can even enter some of the old prison cells there. In terms of natural attractions, there’s the 1.4-mile-long Harrison’s Cave, the 6.5-acre Andromeda Botanic Gardens (featuring the largest collection of tropical plants in the eastern Caribbean), and the Flower Forest (which is filled with flowers, birds and monkeys). In terms of waterspouts, there’s also snorkeling with Sea Turtles in Folkestone Underwater Park & Marine Reserve, Scuba diving through sunken ships (such as the 360-foot freighter S.S. Stavronikita), and sailing in the trade winds off the island’s southern tip. For a taste of true Bajan culture, head to the Friday night fish fry in the town of Oistin’s. And if you can time your visit for late July or early August, don’t miss the Crop Over Festival, the island’s most important cultural celebration. Although it’s located just 19 miles east of Puerto Rico, the smallest of the inhabited Spanish Virgin Islands feels like it’s a world away. Seven miles long and three miles wide, with less than 3,000 residents, Culebra has virtually no nightlife to speak of. But it does have crystal clear waters with 60+ feet of visibility, gorgeous white sand beaches (Culebrita is among the best), and the oldest lighthouse in the Caribbean. 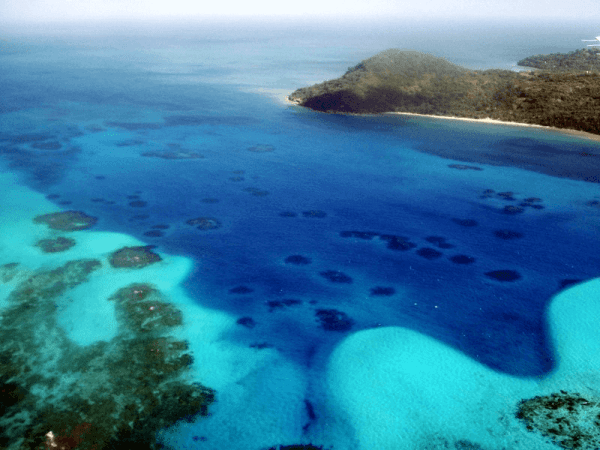 Thanks to the establishment of the Culebra National Wildlife Refuge in 1909, there are also lots of seabirds and turtles, not to mention exceptional scuba diving. Where To Stay: Set on a private bay, the cottages at Tamarindo Estates offer ocean views, fully equipped kitchens, and an 1,800-foot beach with great shelling and snorkeling. Curaçao is a curious country– as colorful as any of its Caribbean neighbors, but with a distinctive personality all its own. This is partly due to its location 40 miles from Venezuela, partly due to its ownership by the Netherlands, and partly due to its complex history. You won’t want to miss the the capital city of Willemstad, a UNESCO World Heritage Site. Its 500 years of history includes the 17th century Fort Amsterdam, Mikve Israel Emmanuel Synagogue (the oldest synagogue in the western hemisphere), the Queen Emma and Queen Juliana Bridges, and the excellent slavery-focused Museum Kura Hulanda. 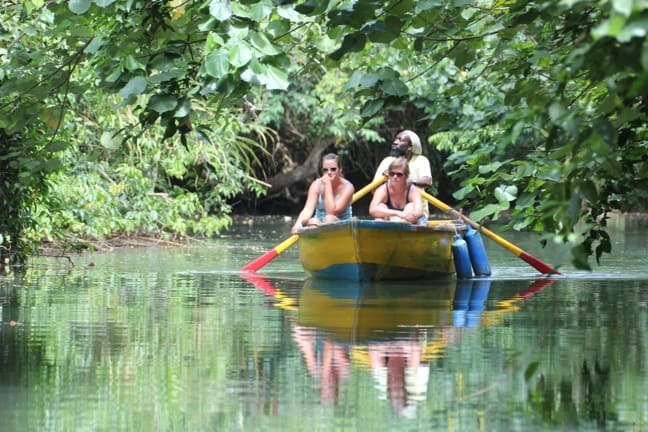 In terms of natural attractions, start with hiking in St. Christoffel and Shete Boka National Parks. 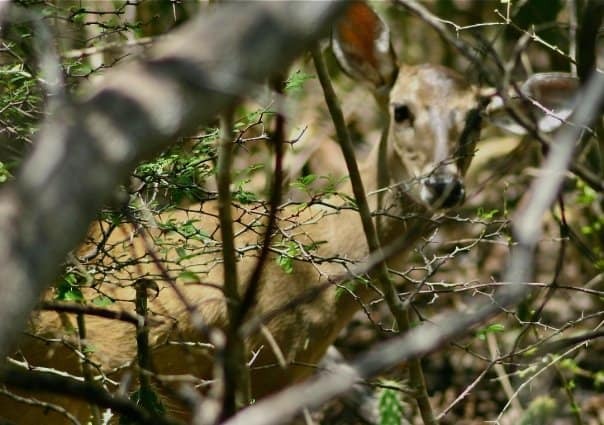 St. Christoffel features hiking trails leading to Curaçao’s highest point (1,292 feet); wildlife such as the rare White-tailed Deer; and ancient Arawak cave paintings. Shete Boka offers a natural bridge, blowholes, and caves that serve as Sea Turtle breeding grounds. You can also explore the island’s cactus-strewn backcountry via an ATV or Jeep safari, try an undersea adventure with Substation Curaçao (which takes visitors 1,000 feet beneath the waves), or Scuba dive world-renowned sites such as the Tugboat and the Blue Room. Often confused with the Dominican Republic, “The Nature Island” is 65% covered in tropical rainforest, with more than 300 miles of hiking trails. 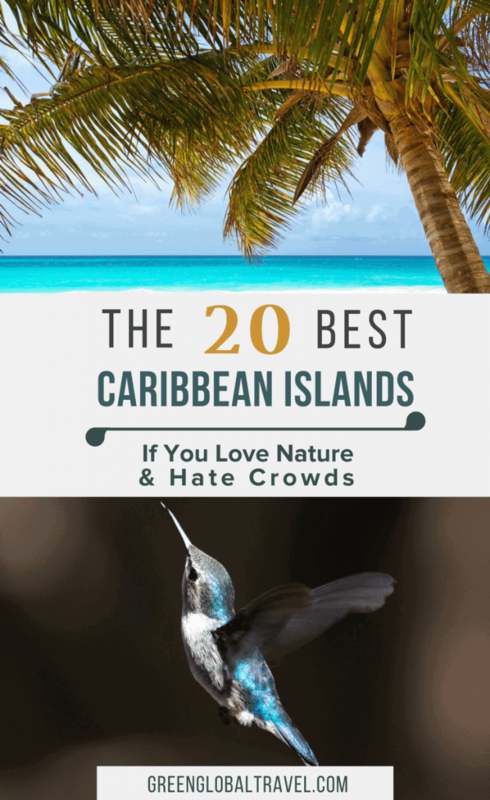 And that’s just one of the many reasons it’s at the top of our personal list of the best Caribbean islands to visit. The impressive sea turtle conservation program at our favorite hotel on the island, Rosalie Bay Resort, is another. Thanks to copious rain, impressive waterfalls are everywhere, with Emerald Pool, Trafalgar Falls, and Victoria Falls all making it worth the hardy hikes to reach them. Other highlights include the Morne Trois Pitons National Park (the first UNESCO World Heritage Site in the eastern Caribbean), snorkeling Champagne Reef (where geothermal activity makes the water warm and bubbly), and the Kalinago Barana Autê (home of the pre-Columbian Carib people). Where To Stay: Rosalie Bay, an eco-conscious boutique and wellness resort, was once named the #2 resort in the Caribbean by Condé Nast Traveler. With its growing focus on sustainable development– including eco-resorts, agritourism initiatives, and innovative environmental practices– Grenada is rapidly emerging as one of the best Caribbean islands for nature lovers. 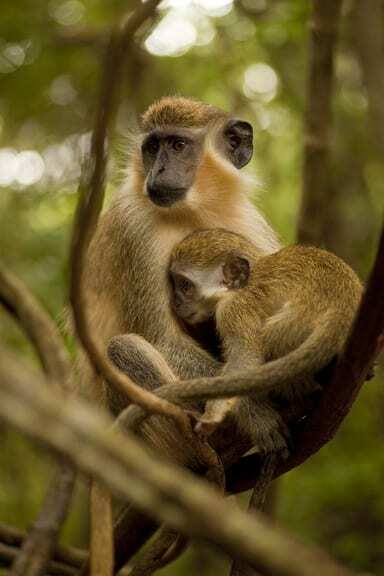 The island has introduced/expanded its protected areas, including Levera National Park (a nesting site for Leatherback Sea Turtles) and Grand Etang Forest Preserve (which offers birdwatching, hiking, and river tubing activities). If you get a chance, visit during the island’s countless cultural festivals, which include the Grenada Chocolate Festival, Fish Fridays, and the Carriacou Maroon & String Band Music Festival. Where To Stay: All 7 villas at Maca Bana are stylish, with hardwood decks, outdoor hot tubs, and stunning views. 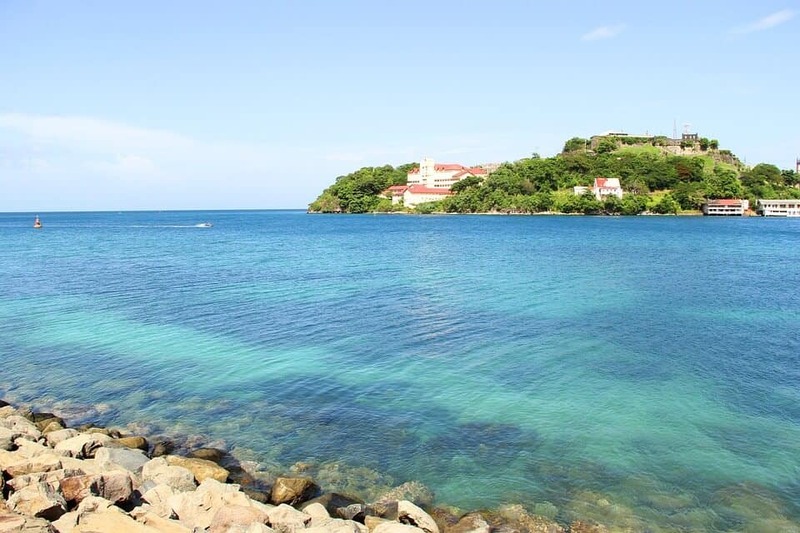 It’s also home to one of Grenada’s best restaurants, Aquarium, and a 3-minute walk from picturesque Magazine Beach. The Grenadines are comprised of 31 islands and cays stretching between St. Vincent and Grenada, with ownership and governance divided between those two countries. But the archipelago is sparsely populated. Even the biggest of the islands– 7.1-square mile Bequia and 12.6-square mile Carriacou– only have around 5,000 to 6,000 permanent residents. These remote, idyllic tropical paradises are rarely visited, offering travelers a getting-away-from-it-all experience with unspoiled beaches, endemic birds, and dazzling coral reefs teeming with marine life. Bequia boasts beautifully forested hills in the north, as well as some impressive drift dives. 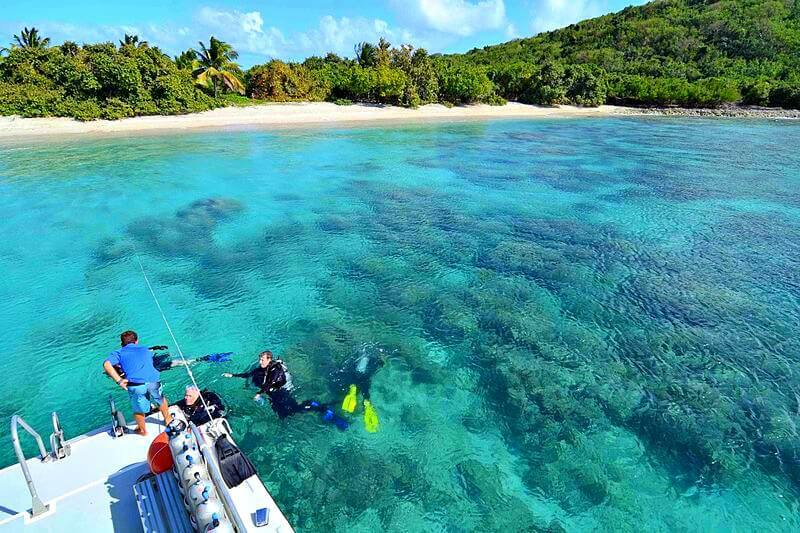 The Tobago Cays, which are protected as a marine park, offer some of the finest snorkeling in the Caribbean. Union Island, a kiteboarding haven, has recently emerged as an off-the-radar adventure travel hotspot. And Carriacou teems with lively local culture, especially if you visit during Carnival. Located approximately 31 miles south of Cuba, Isla de la Juventud (translation: Isle of Youth) was known as the Isle of Pines until 1978. Much of the island is covered in lush pine forests, and lumber extraction remains a big business in the area. Encompassing around 850 square miles, it’s the largest of the 350 islands in Cuba’s Canarreos Archipelago and the seventh-largest in the West Indies. But it only has a population of around 86,000 people, most of whom reside in the northern city of Nueva Gerona and the central city of Santa Fe. The island’s intriguing ecotourism attractions include the beautiful waters and beach of Playa Paraíso, the rare Cuban Crocodile, and a cave complex near Punta del Este that features more than 200 ancient indigenous cave drawings. Referred to as “Cuba’s Hidden Treasure,” Isla de la Juventud also offers numerous hiking trails lined with animals and plant life and some of the best snorkeling and Scuba diving in the Caribbean. Situated in the Caribbean Sea between Costa Rica and Jamaica, Providencia is part of a Colombia-owned archipelago located 482 miles northwest of the mainland. The mountainous island (which has a maximum elevation 1181 feet) was the site of an English Puritan colony that was originally founded in 1629. But Isla de la Providencia was best-known as the base for Welsh pirate Henry Morgan, who eventually became Lieutenant Governor of Jamaica. Local rumors suggest that some of the treasure that Morgan (most famous as the face of Captain Morgan Rum) and his men pillaged during their many raids on Spanish ships remain buried here. History lovers will enjoy exploring the various forts and cannons that can be found scattered on neighboring Santa Catalina Island, which is accessible via a footbridge. Visitors can also snorkel the island’s impressively pristine coral reef system. 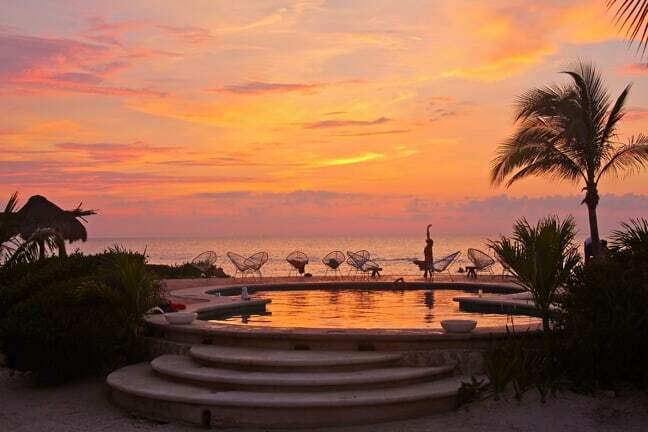 Located about 40 minutes northwest of Cancun (around 3 hours by bus from the airport), Holbox Island is a tiny fishing village that’s developing into a haven for ecotourists. The island is separated from the mainland by a shallow lagoon that provides sanctuary to thousands of herons, flamingoes and numerous endangered species. Golf carts are the most common form of transportation– no cars allowed– with Yum Balam Biosphere Reserve and Isla Pájaros (Bird Island) ensuring you’ll see more animals than people. But the island’s big draw is the annual afuera, a gathering of hundreds of massive whale sharks who come to feed off the Yucatan Peninsula coast every June to September. Swimming with whale sharks was one of the most incredible adventures my daughter and I have had together. Where To Stay: Tucked away on a remote section of the island next to Yum Balam, Villas Flamingos offers charming villas with eco-friendly bathrooms and a hammock on the terrace. Of course, if you stick to mass tourism hotspots such as Montego Bay, Negril, and Ocho Rios, the answer is yes. But once you venture outside these meccas for sun/sand/surf worshippers, Jamaica has plenty to offer those seeking the sanctuary of nature. The Blue Mountains are best known for growing some of the best coffee in the world. But they also offer fantastic hiking, with lots of endemic flora and fauna and stunning views from the 7,402-foot summit. The southwestern parish of St Elizabeth is far off the typical tourist track. Outdoor activities there include swimming at Treasure Beach, looking for Crocodiles on a Black River Safari Tour, and spending a day at YS Falls (which is a lot less crowded than those at Dunn’s River). Elsewhere on the island, you can bathe in the Blue Hole Mineral Spring (Westmoreland), visit Frenchman’s Cove and the Blue Lagoon (Portland), or try surfing in St. Thomas. With a distinctive Creole culture that incorporates African, Indian, and Spanish roots, this tiny island 43 miles off the coast of Central America feels more Caribbean than Nicaraguan. 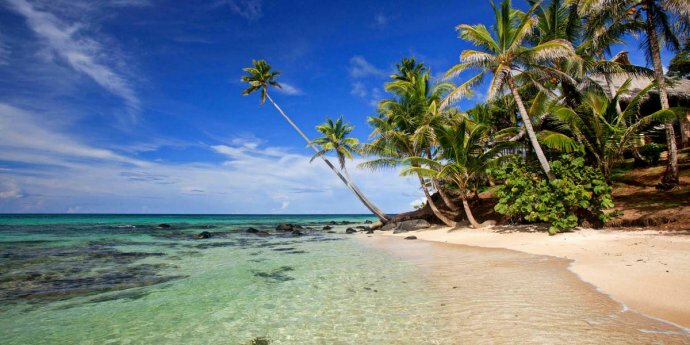 There are four different languages spoken on Little Corn Island– Creole, English, Miskito, and Spanish– and there are no cars or roads whatsoever. Originally known as a backpacker’s haven, the beautiful beaches and excellent snorkeling/Scuba diving in this pristine paradise have attracted more upscale ecotourists in recent years. Thankfully, despite the gradual uptick in visitors, the remote island remains unspoiled by mass tourism development. Where To Stay: Named one of the top hotels of 2014 by Forbes, Yemaya Island Hideaway is a 16-cabana eco-resort offering a serious yoga program, farm-to-table food, and a peaceful atmosphere of laid-back luxury. 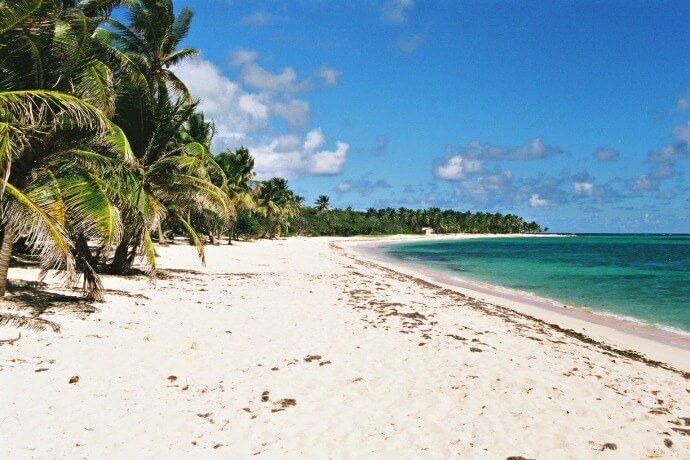 Discovered in 1493 by Christopher Columbus and named after his flagship, Maria-Galante is a 61-square mile island located in the Guadeloupe archipelago. Best known for sugar production during the colonial era, the island offers a rural taste of French West Indies tranquility, with myriad farms, pristine beaches, and lagoons protected by coral reefs. This is a place truly in touch with its folkloric traditions, which is one of the main reasons we consider it among the best Caribbean islands to visit. But it can be surprisingly lively at night, when locally produced rum and “ti punch” sweetened with sugar cane bring the piano bars and nightclubs to life. Where To Stay: Located in the heart of a vast tropical garden, the villas, bungalows, and suites at La Rose du Bresil offer lots of space and a distinctive splash of Creole culture. 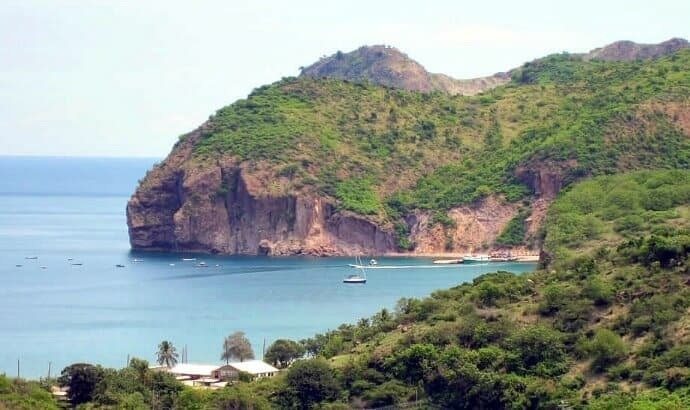 Montserrat was a showcase for the lifestyles of the rich and famous in the ‘60s, ‘70s, and ‘80s, when classic albums by icons such as Dire Straits, Duran Duran, and The Police were recorded at Sir George Martin’s AIR Studios. But in 1995 the long-dormant Soufriére Hills volcano roared to life, destroying the capital city of Plymouth and forcing two-thirds of the local population to flee. Now the island has been reborn as a nature sanctuary. Nature lovers will enjoy exploring the island’s nine world-class rainforest hiking trails, stunning scenic coastlines, and some of the best Scuba diving the Caribbean has to offer. Where To Stay: One of the first new businesses opened after the volcanic eruptions, Tropical Mansion Suites is a family-owned effort credited with helping to revitalize Montserrat tourism. 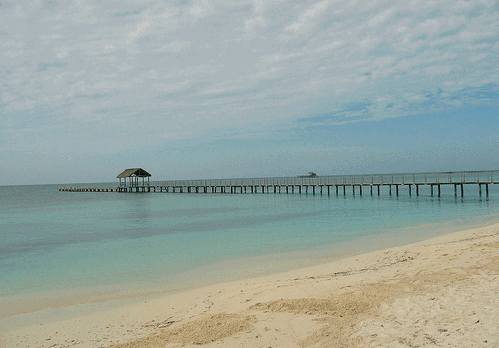 Situated approximately 40 miles off the country’s northern coast, Roatán is the largest of the Bay Islands of Honduras. The sleepy island’s population is primarily a mixture of Cayman Islanders (who came over after Britain abolished slavery in 1838), Mestizo migrants from the mainland, and entrepreneurs and expats from the US, Canada, South Africa, and Australia. Roatán’s cities can be a bit more on the bustling side than some of the other islands on this list. But there are also gorgeous remote beaches, wildlife refuges, and mangrove forests to explore. 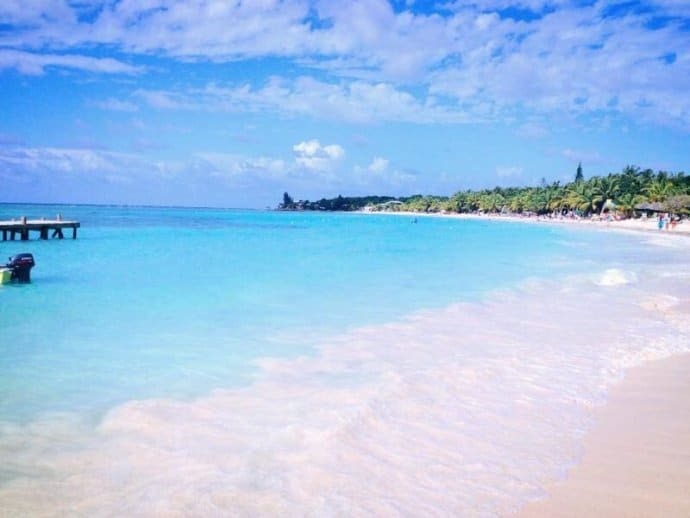 But the main reason to visit Roatán is the fact that the island sits directly atop the Mesoamerican Reef, the second largest reef system in the world. 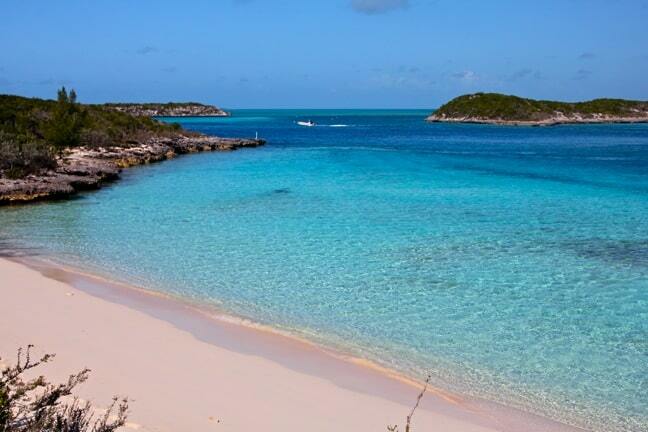 So the snorkeling and Scuba diving here are easily among the best in the Caribbean. Located just a 45-minute boat ride away from the historic city of Cartagena, this little-known treasure is an archipelago comprised of 30 small islands. The islands are part of the Corales Islas del Rosario Natural National Park, which was created to protect 4,633 square miles of reefs, sea grass, and mangroves (and the aquatic species that inhabit them). As you might expect, the snorkeling and Scuba diving here are superb. But you can have an equally amazing time just curling up in a hammock with a stiff drink, watching the spectacular sunset over the sea. Where To Stay: Blending elegant sophistication and laid-back simplicity, Coralina Isla Boutique is a quiet, foodie-friendly paradise. Known as “the Unspoiled Queen of the Caribbean,” this Dutch island is just a 12-minute flight away from St. Maarten. With a total area of 5 square miles (pop. 2,000), the island’s centerpiece is the aptly named Mount Scenery, which rises 2,910 feet above sea level. Naturally, climbing and hiking the mountain’s trails are among the island’s most popular activities. 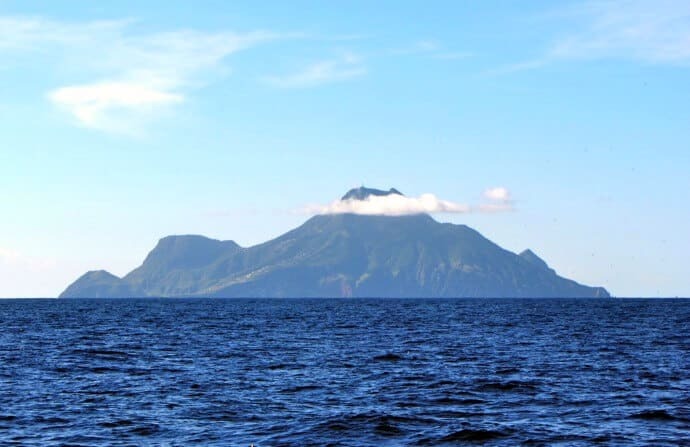 But the protected waters of Saba National Marine Park also draw visitors with stunning 220-foot tall volcanic pinnacles, dolphins, and the occasional whale sighting. Where to Stay: With welcoming owners and breathtaking views, the El Momo Cottages are an eco-friendly hideaway offering romance and relaxation in equal measure. From gorgeous white sand beaches lined with palm trees and hammocks to brilliant waters colored in dazzling shades of blue, this 15-acre island is a picture-perfect testament to the beauty of Belize’s cayes. Located approximately 14 miles off the coast of Dangriga, South Water Caye is accessible by boat or a quick flight. But its idyllic, relatively pristine romantic allure feels far removed from the tourism development of mainland Belize. The island’s greatest attraction for nature lovers is its remarkable proximity to the Belize Barrier Reef, which is part of the world’s second largest reef system after Australia‘s Great Barrier Reef. Snorkeling right off the beach puts you in the South Water Caye Marine Reserve, which boasts an impressive array of marine life, including Rainbow Parrotfish, Reef Sharks, Moray Eels, and Spotted Rays. If you get chance, don’t miss a chance to go on a nighttime dive or snorkeling tour: The reef’s colors really come alive after dark! If you’re not a fan of snorkeling or Scuba diving, you can also go birdwatching on the aptly-named Bird Islands, try kayaking or paddle boarding, or search for the curious Manatees that frequent nearby Man Of War Caye. The San Blas archipelago encompasses a whopping 378 islands and cays, stretching approximately 200 miles along the Caribbean coast of Panama. Most of these impressively pristine islands have few roads and even fewer people. Many of the islands are ringed by healthy coral reefs and gorgeous water, which has made them increasingly popular amongst Scuba divers and sailing enthusiasts. 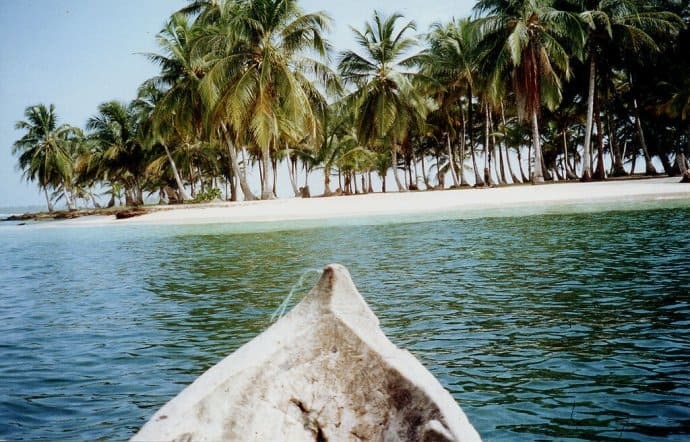 The 49 San Blas Islands that are inhabited are largely home to the Indians, a semiautonomous tribe that was driven from the mainland during the Spanish invasion. Many Kuna still practice the ancient traditions of their ancestors, including the crafting of brightly colored, appliquéd fabrics known as molas. In addition to learning about their indigenous culture, other popular activities in the area include snorkeling the calm waters of Cayos Limones and Cayos Holandeses. This tiny 2-square mile island, with a population of just 110, is an under-the-radar ecotourism haven in the remote Exumas. And that’s precisely what makes it one of the best Caribbean islands to visit. With just two hotels, a restaurant/bar, and a marina, there’s not much action in sleepy Staniel Cay to attract the cruise ship crowd. 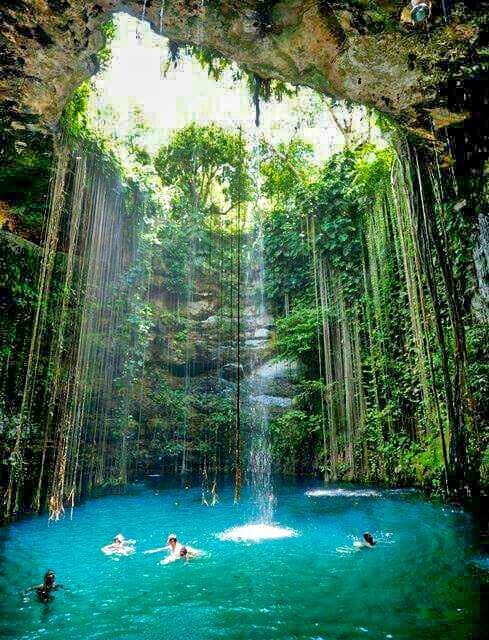 But for nature lovers, there’s the picturesque Thunderball Grotto (featured in the 1965 James Bond film), the famous swimming pigs of Major Cay, sailing, and scuba diving in impossibly blue waters. If that’s all a little too much activity for you, there are also several perfect little beaches without a single soul in sight.